Today I’m going to focus on a request submitted by a reader of my website blog who asks about performance anxiety and panic attacks. Those are very good questions and common in those who have depression. First let’s think about the general topic of anxiety – a feeling of excessive apprehension, nervousness and worry about future events or activities. The depth of the anxiety, how long it lasts, and how often it occurs is out of proportion to the feared event and causes distress. The fear is very real and scary at the time. About half of those who have depression also suffer from some form of anxiety at the same time. The reasons for this are not quite clear. There are different types of anxiety. One is performance anxiety, the pressure to perform well under stress or pressure, or the pressure to perform sexually, particularly in men. Sexual performance anxiety is a whole topic in itself that we will not address today. 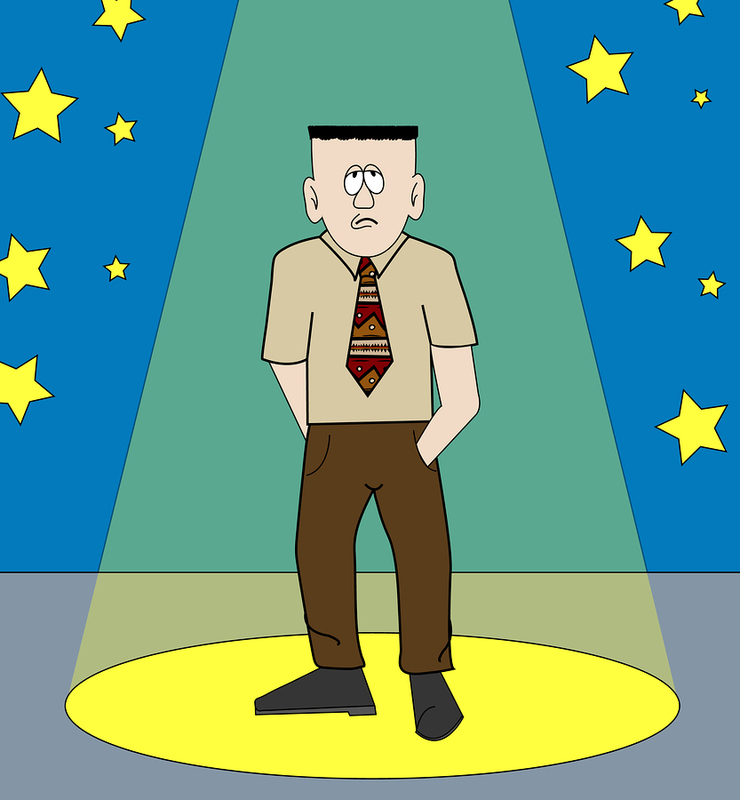 Performance anxiety, commonly known as stage fright, can occur in all of us including athletes, musicians, actors, and those who do public speaking. It is thought to run in some families, but the reasons for that are not well understood. Performance anxiety can get in the way and prevent you from doing what you enjoy. 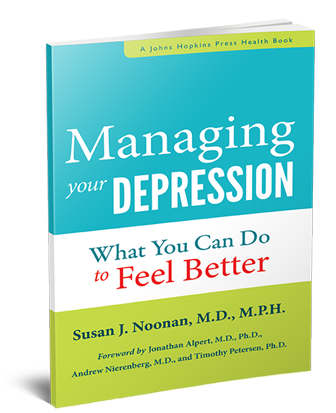 It can have a negative impact on your self-esteem and self-confidence. Some people are so paralyzed by this that they do not want to leave the house! The pressure to impress others, and the fear of being the center of attention with all eyes on you, can ignite the “fight or flight” response in a person. That’s what happens inside of us when we face a deep fear or real threat. Symptoms of performance anxiety may include any of the following: rapid heart rate or palpitations, fast breathing, dry mouth, sweating, trembling hands, knees, or voice, nausea or upset stomach, chest pain and sweaty palms. Sometimes the person feels that he or she is having a heart attack or is about to die, but that is never the case. The good news is that you can learn to control your emotions and the anxiety. To do this it’s helpful to confront your fears, accept yourself for who you are, drop the idea that you have to prove yourself to anyone, and believe that it’s ok to make mistakes. Then modify any negative thoughts and predictions you may have about performing. Try to change your thoughts away from being judged by others, something that often comes from past experiences that haunt us for years. Understand that the anticipation about your performance is often worse than the event, and that once you get going the anxiety often gets better. For those who have disabling performance anxiety, many have found that cognitive behavior therapy (CBT) often works well to confront your fears and the anxiety. Others may require added medication therapy. A panic attack or panic disorder is a specific type of anxiety described as the sudden onset of intense fear or discomfort with a sensation of racing heart, palpitations, sweating, trembling, or shortness of breath at a time when there is no apparent danger or threat. Sometimes there is dizziness, nausea or chest pain. It usually lasts several minutes and disappears. A panic attack is usually unprovoked and unpredictable, in contrast to generalized or performance anxiety. It can be triggered by severe stress. Panic attacks are frightening. Stress management, relaxation and meditation exercises, CBT and/or medications are also effective ways to manage these events. The important thing to remember is that performance anxiety and panic attacks can be managed, and although you may feel you are having a heart attack or may die, this will not happen. There are no long term physical consequences to worry about.